The metropolitan area of Cairo (Greater Cairo) consists of Cairo Governorate, New Cairo City, Giza, Shubra El-Kheima, 6th of October City and Obour City. The six case-study neighborhoods of Cairo have been selected only from Cairo Governorate. However, in general even selecting areas from other governorates could have been in line with the methodology of the project, which is related to the Middle Eastern large metropolitan areas and megacities. El-Darb El-Ahmar district is one oldest and historical parts of Cairo. Built more than 700 years ago, it contains many of archaeological buildings and Mosques in its 12 neighborhoods. The location of district is near to CBD of Cairo. 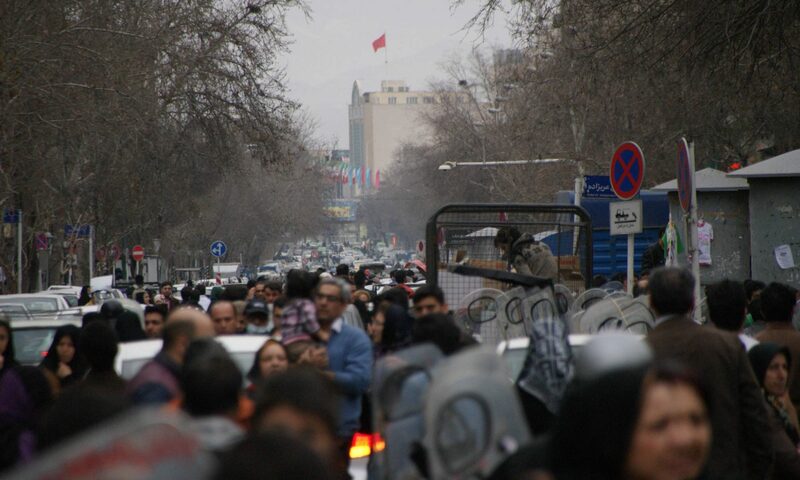 The main streets are port saeed st. and Al Azh ar st. the main transport inhabitants use are bus, minibus & microbus. 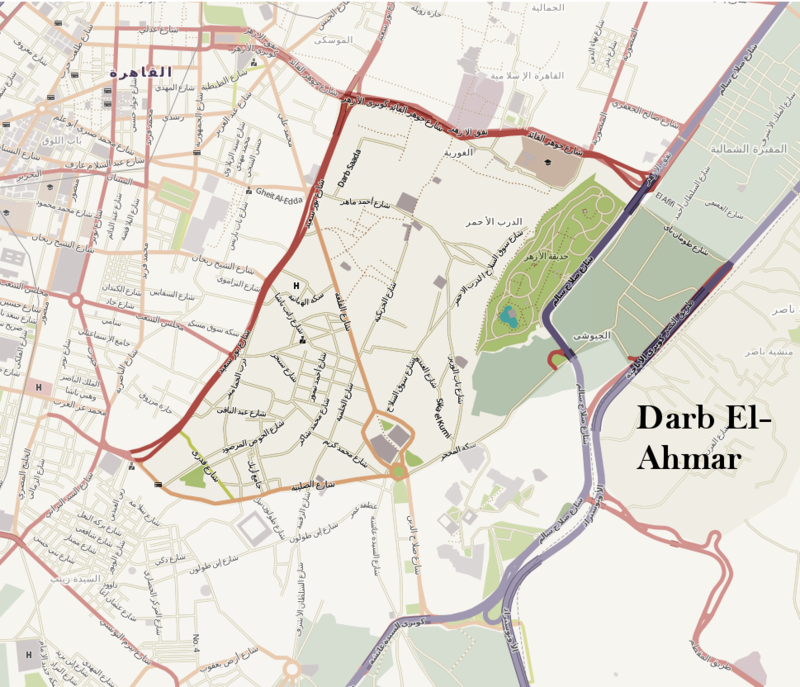 Al Azhar park, located on the east side of Eldarb Elahmar district, is one of the most modern gardens of Cairo. The 12 neighborhoods of Eldarb Elahmar host 73210 people on 134ha. Bab El Shaaria is one of oldest districts of Cairo, it was built from more than 700 years ago. The buildings are very old and the streets are narrow with historical view. 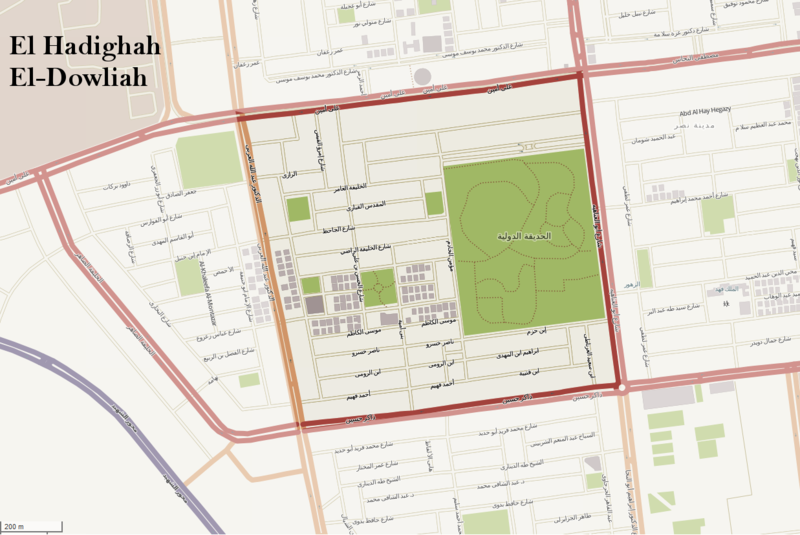 There are also two main streets: Port Saeed Street and El Geish Street. 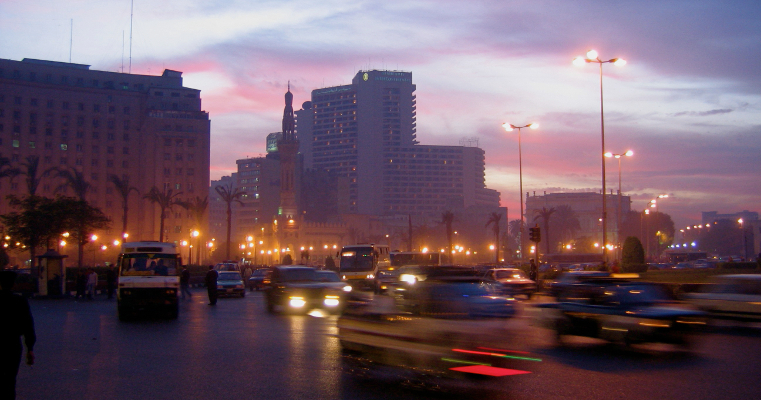 The location of this district is near the Central Business District of Cairo: West El Bad. The district of Bab El Shaaria contains eleven neighborhoods, covers 103 ha, and hosts 68.371 inhabitants. The main transport inhabitants use are bus, minibus and microbus. 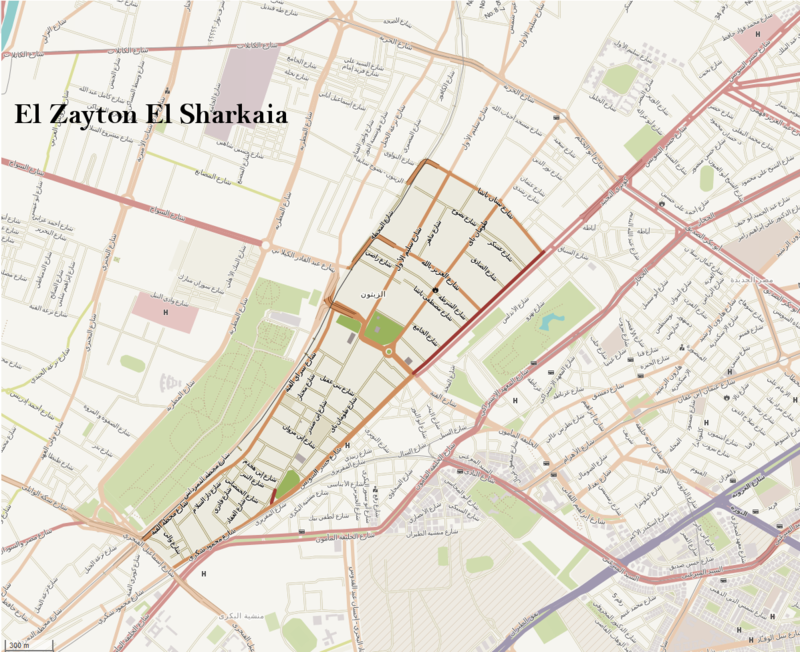 El-Zaytoon El-Sharkia is a neighborhood of El-Zayton district. It lays in the north of Cairo and was modified since 1960. Primary, before the revolution, the area was agricultural land with scattered villas of the land owners. It contains also Al Tahrah palace one of presidential palace in Cairo. Today, the main street is Gesr Elsewes. There passes a metro line in the west at Al Zayton metro station. The main public transport modes are bus, minibus and metro. The area of this neigbourhood contains 88ha, with a population of 46.194. 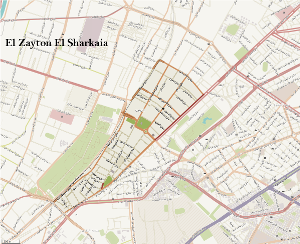 El-Hadikah El-Dawliah is a neighborhood of Nasr City district. It was build in the early 1980s. In this area you can find the famous El-Hadikah El-Dawliah garden today and also the streets are wide and full of trees. The main street Abbas ElAkkad passes through the neighborhood. Around this street the mostly used public transport modes are bus, minibus and microbus. Located on the East side of Cairo, it is near the commercial area of Nasr City. Area of neighborhood. 109 ha, with a population of 21.542.